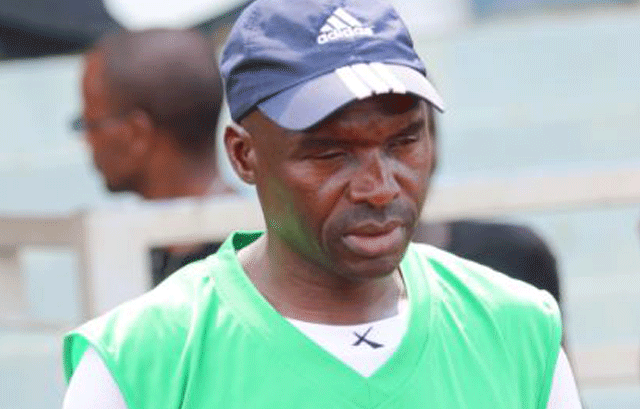 SOCCER – MBABANE High-landers head coach Saul Chami-nuka’s relationship with the club continues to be sour after the coach shunned the team’s training session yesterday afternoon. The Zimbabwean mentor has reportedly opted to excuse himself from the team’s activities following his strained relationship with the club. Chaminuka is currently under fire following the capital city side’s crippling 4-1 loss to army side Young Buffaloes during the SMVAF Ingwe-nyama Cup final pla-yed last weekend at the Somhlolo National Stadium. A source close to the matter revealed that the coach will not attend the team’s activities until his differences with the directors were resol-ved. “The coach will not attend training and other activities until the two parties find a way forward over the ongoing tension. He now fears for his safety and has since decided to remain indoors until he meets the directors over his future,” the source said. Highlanders were drilled by their assistant coach Bongani Mhlongo in Chaminuka’s absence. Efforts to reach Chamunika for comment proved futile after his cellphone rang answered when contacted yesterday. The team’s Chief Executive Officer (CEO) Thulani Khumalo also confirmed the coach’s absence in training when contacted yesterday. “It is true that the coach did not attend the training session yesterday due to tension. However, there are on-going talks with him since we are still reviewing the performance of the team. “The team is currently drilled by assistant coach Bongani Mhlongo and trainer Sithembiso Shona until a decision is taken over the on-going talks,” he said. Chaminuka joined Highlanders four months ago where he replaced South African coach Mlungisi ‘Professor’ Ngubane. The ‘Black Bull’ have now shifted their focus to next MTN Premier League clash against hoodoo side Vovovo FC next Wednesday at the Somhlolo National Stadium before taking on bitter rivals Mbabane Swallows four days later at the same venue.